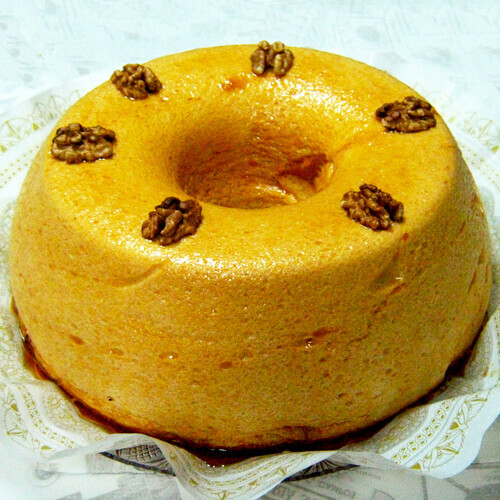 The history of Pão-de-Ló has origin in a very old monastery recipe, which is available for the public to taste since 1863. 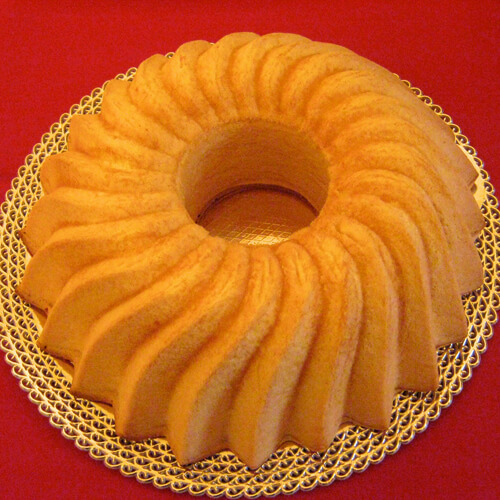 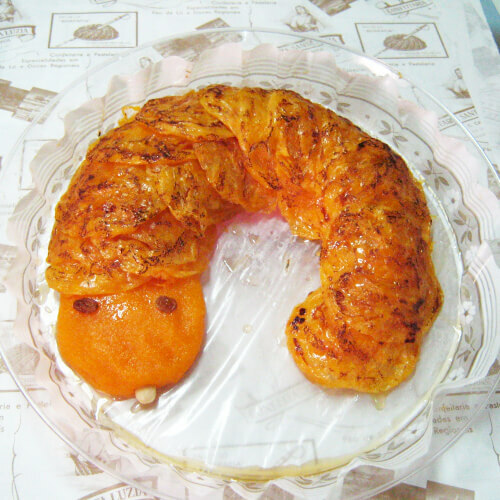 Its rich and unique taste results from a harmonious process of confection, where the dough made of eggs, sugar and almond, takes an egg topping which is then toasted. 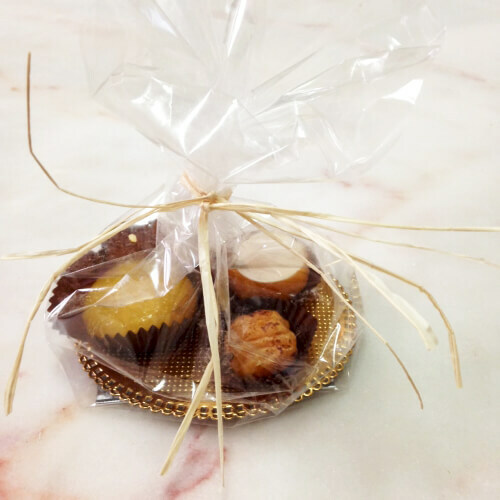 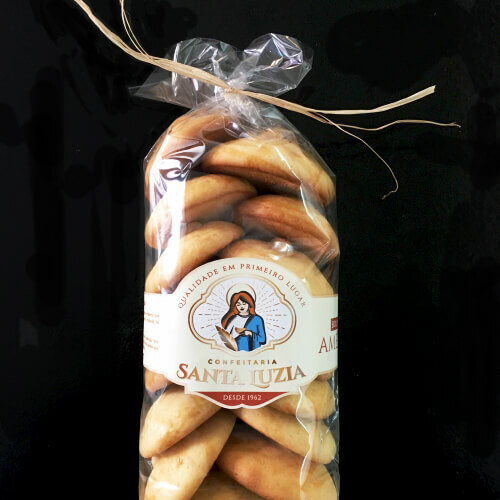 Confeitaria Santa Luzia manufactures two types of Brisas, with whole nuts and with almond, both with an absolutely exceptional taste. 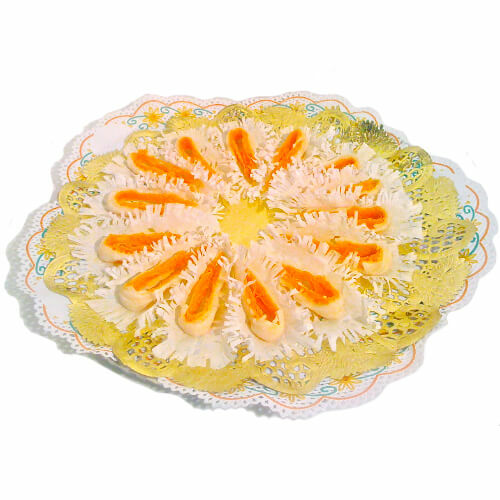 With a exceptional presentation, Lampreia de Ovos, looks good on every table. 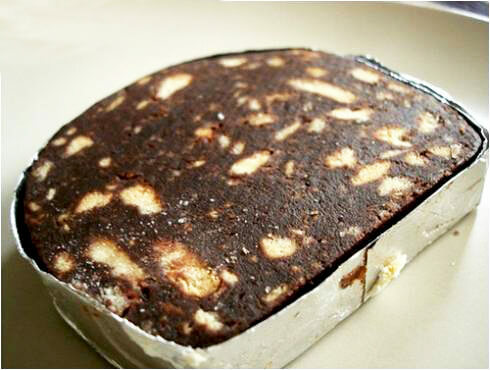 Typical sweet with Maria cookies, eggs, sugar and chocolate powder, makes the delight of kids and adults. 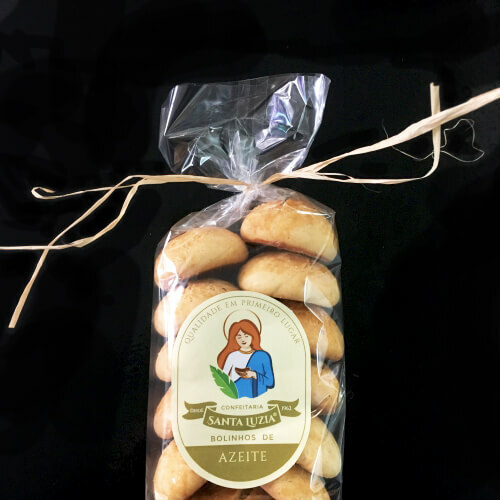 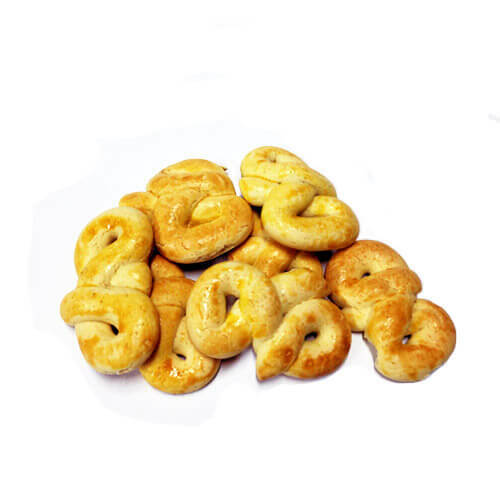 Biscoitos de Manteiga follow a monastery recipe and are ideal to go along with a tea or a coffee. 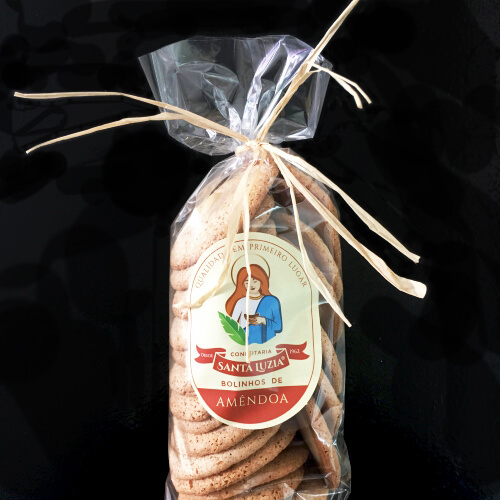 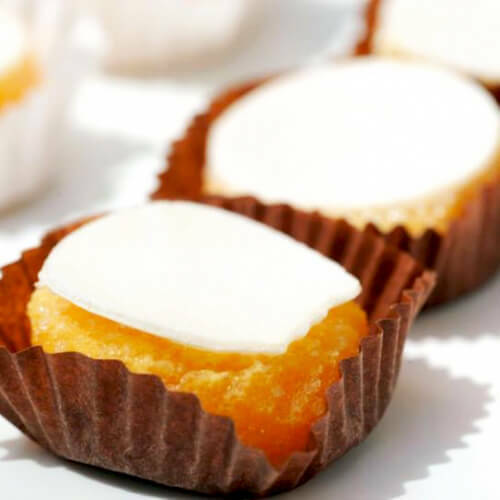 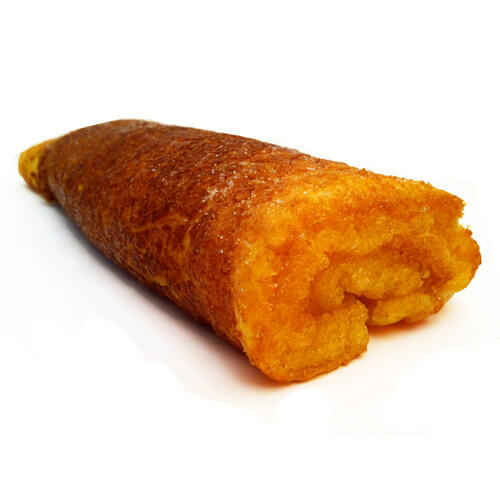 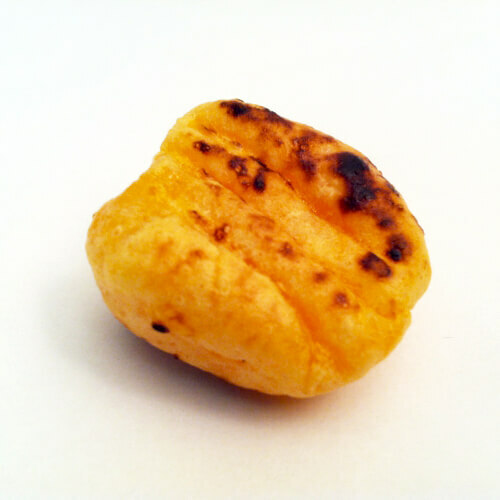 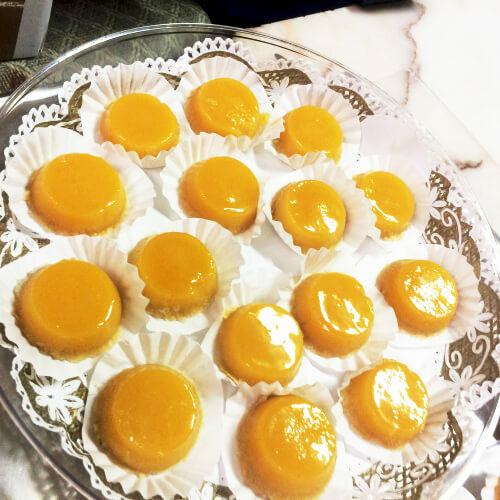 Bolinhos de Amêndoa e Noz are made based on a monastery recipe and present a taste with unique features. 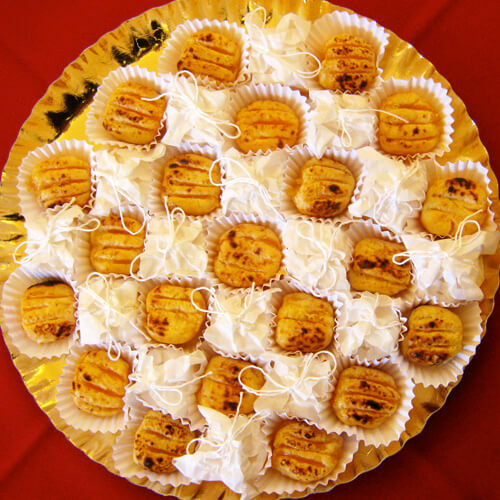 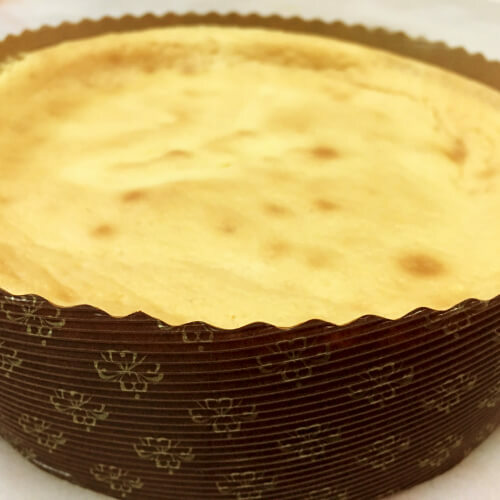 Torta de Amêndoa is the perfect combination between eggs, sugar and almond, it's the ideal dessert for every occasion. 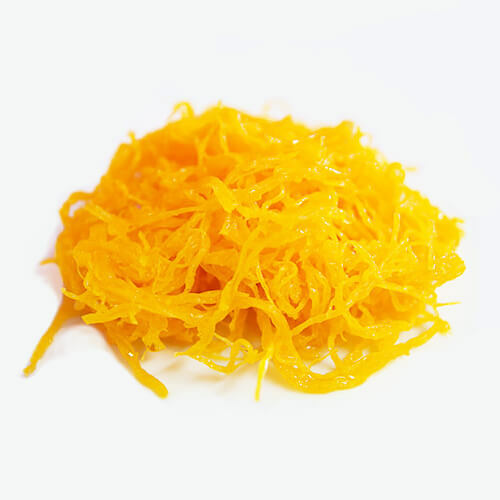 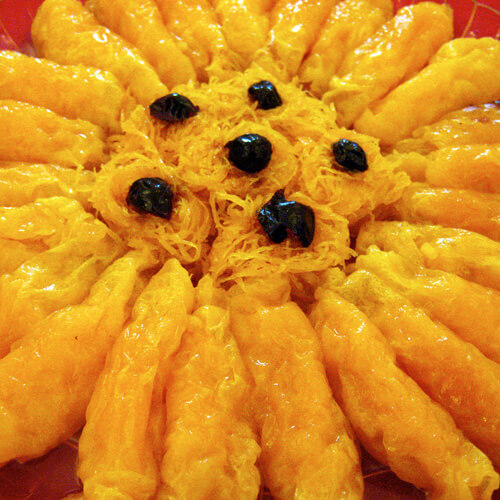 Angel hair (fios de ovos) is a traditional Portuguese sweet made of eggs, drawn into thin strands and boiled in sugar syrup.